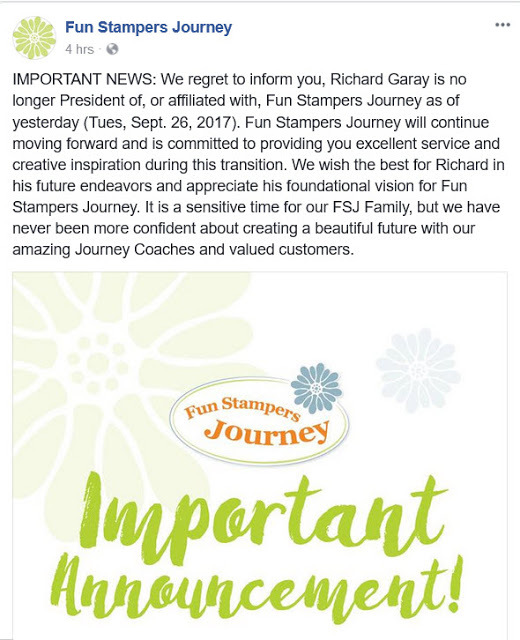 The above announcement was posted by Fun Stampers Journey on their Facebook page yesterday. I am passing it on to all of you so that you are aware of the changes within the company. Richard Garay has been a major inspiration for me during my time as a Journey Coach. He will be greatly missed. He has inspired so many of us. Keeping Richard and his family in our thoughts and prayers. Thank you, Richard, for all that you did for us as Coaches. I love FSJ's Products they are top notch in my opinion but as a paper crafter, I love many products. Though I have a couple of people in my group, we all do this as a hobby. 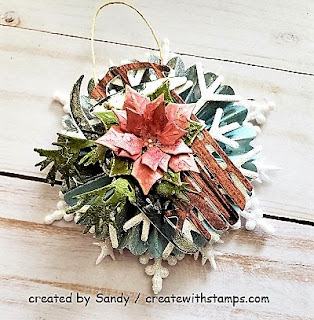 In the past I have refrained from posting projects using other products however, I love to make pretty things and I love to use all kinds of products from many companies. Today is a new day with all kinds of possibilities...I will be sharing my projects and starting up card classes using the products that I love and I will follow my heart. Life is too short...be happy and enjoy whatever path you take! Christmas Ornament or Gift Embellishment? I have always dabbled in some sort of craft. My absolute favorite is paper-crafting from making 3-D projects, altered art, stamping, card-making and so on. I absolutely love the way you can transform paper into beautiful works of art and you have an array of colors to choose from. I also love the feeling of accomplishment when I'm done. I am expanding my passion for paper, stamps and ink to others, by providing classes and card kits to anyone who is interested, whether your a seasoned stamper or a beginner. I hope by sharing my journey I inspire you.